Jet off to the millionaires play ground without needing a six figure bank balance thanks to this incredible discount code. Get more out of your trip with this incredible discount on a fantastic range of activities to keep you busy while your away. £100 maximum savings. Book your activity by April 21, 2019. Terms and conditions apply. Get all the comforts of home when you stay away with these amazing deals on fully kitted out holiday rentals. Jet off for a quick getaway with these superb fly this week deals and save a suitcase load of cash. ‘Travel This Week” offers are valid for stay dates within the next 7 days, and ‘Travel Next Week” offers are valid for stay dates within the next 7 to 14 days. Book a last minute getaway today to save on sunning your self by the end of the week. There are new deals every single day, so check beck regularly to bag your self a bargain on your next trip. Special offers are only available at participating hotels. Prices shown above include applicable discount. Hotel savings are based upon Expedia's everyday hotel rates, excluding taxes and other fees. Minimum stay may be required. Sample air/hotel packages above include 4 nights' accommodation plus roundtrip air. Sample air/hotel package prices are per person, based upon double occupancy Offers are subject to availability and may be discontinued without notice. Additional restrictions and blackout dates may apply. *Savings based on all vacation package bookings with Flight + Hotel on Expedia.com from September 2013 through February 2014, as compared to price of the same components booked separately. Savings will vary based on origin/destination, length of trip, stay dates and selected travel supplier(s). Savings not available on all packages. Check back every week to find your perfect deal on your next destination. Discount will be applied to the standard rate of selected hotels (excluding applicable taxes and other fees). Hotel prices displayed are per room per stay based on the cheapest double room available, inclusive of all taxes and service fees, but exclude any fees payable at or to the hotel. Prices displayed are for stays on the specific dates shown. Blackout periods may apply. Please check individual hotel for details. Offers are subject to limited availability and may be discontinued without notice. Please click through to individual deals to confirm prices, availability and applicable terms and conditions for those deals. Get away to explore a new city and save with these fantastic deals on European breaks. Package prices quoted are per person per stay based on return flights from selected airports and two people sharing the cheapest double room, inclusive of all taxes. Hop across the pond for an amazing break with these incredible deals on U.S and Canada trips. Use this fantastic sale to get more out of your holiday and save on all your activities and adventures. Book a your perfect package holiday today and save with these Unreal Deals. Savings claims relate to the offers shown on this page only. Actual savings vary based on origin/destination, length of trip, stay dates, room type and number of guests and aren't available on all packages. For flight deals, savings amount is equal to 100% of the cost of your flight for the stated flight + hotel when they are booked together although credit card charges may apply. For hotel deals, savings amount is equal to 100% of one night's stay at the stated hotel when flight + hotel are booked together although credit card charges may apply. Prices shown were available within the past 24 hours. There is no guarantee that these prices will be in effect at the time of your search. Flight + Hotel savings are based on comparison to prices on Expedia.co.uk of the same components booked separately. Package prices quoted are per person based on return flights and two people sharing a room, inclusive of all taxes. Additional baggage charges may apply to packages including flights with low cost airlines. Hotel prices displayed include the promotional discount and are based per stay for a double room. A minimum hotel stay will be required, as stated in each package. Please check individual hotel for details. Use this flash sale to pack an incredible saving into your suitcase the next time you jet off to sunnier climes. Get an incredible saving on your next hotel escape with this fantastic sale event. Be in with a chance of winning a dream trip to the final of the biggest club competition in the world by entering today. Book your next escape today and you could get an incredible deal in the Escape Sale. Discount will be applied to the price of selected hotels (excluding applicable taxes and other fees). Hotel prices displayed include the promotional discount and are per stay based on the cheapest double room available. Blackout periods may apply and a minimum hotel stay may be required. Please check individual hotel for details. Package prices quoted are per person per stay based on return flights and two people sharing a room, inclusive of all taxes. Flight prices quoted are per person based on return flights, inclusive of all taxes. Additional baggage charges may apply to flights or to packages, including flights with low cost airlines. Expedia’s usual booking terms and conditions apply. How does exclusive member only deals sound? Make the smart choice and join today. The trip of a lifetime has never been so affordable. Jet off for less this Summer.  £100 saving per passenger to be redeemed by entering the promotion code “100OFF” at the time of booking OR to be redeemed by clicking the button “Apply Discount” which is displayed at all stages at the top of each page, throughout the booking process. Please note, the discount will not be applied to free infant places (children under the age of 2). The discount is only valid on holidays departures from 1 April 2019 with all travel completed by 31 March 2020. The discount is applied to the full balance of the holiday, not the deposit amount payable. Applicable to new bookings only. Customer must be aged 18 years or over to place a booking. Offer only available when booked online at www.jet2holidays.com or via the Jet2holidays call centre. If flight dates or passenger names are changed by the customer following the original booking, the discount will no longer apply and the full balance shall be payable. Jet2holidays reserves the right to amend or remove this promotion at any time prior to customer booking. Prices shown on our websites and in our advertising are subject to change without prior notice and are only guaranteed when your booking is confirmed. All other terms and conditions as per the Jet2holidays website apply (see https://www.jet2holidays.com/terms-and-conditions). You can't afford to miss the sensational holiday savings available online. Check them out now. Get an incredible discount on the card that saves you money every time you you travel by train with this exclusive voucher code. These terms and conditions (“Railcard Conditions”) apply to the use of Famiiy & Friends Railcard and reduced priced tickets (“discounted tickets”) bought with the Famiiy & Friends Railcard. If you’re looking to get away from it all, find the perfect holiday with Expedia. Hop on a flight to a far-flung destination like Australia, Las Vegas or Dubai and enjoy the sunny surroundings of somewhere new. If you fancy something a bit different, check out Expedia’s range of holiday rentals worldwide. Rent an apartment in the middle of an exotic city or hire a cosy cottage for a staycation in the UK. Not only can you book your flight, hotel and car hire in one go, you can also find excursions and sightseeing tours to complete your trip. It’s easy to plan your dream holiday with everything at your fingertips. Whether you’re after a city break or a beach holiday, choose Expedia to plan your next break. With over a million flights, hotels and packages to search, you’ll be spoilt for choice. Expedia list over 321,000 properties to choose from so you’re bound to find something you love! Follow our money saving tips to save more at Expedia. Want to really embrace the history of an area? Stay in an ancient castle. Find a fortress to suit you with Expedia’s castle holidays or tour a few with their castle road trips. Expedia also have fab suggestions for beach, ski, family and LGBT holidays if you’re stuck for somewhere to visit. Need to get a train anywhere around the UK? Pre-book your tickets with Expedia’s new rail booking service and relax, knowing you won’t have to rush to the station on the day. Then sit back and enjoy your break.